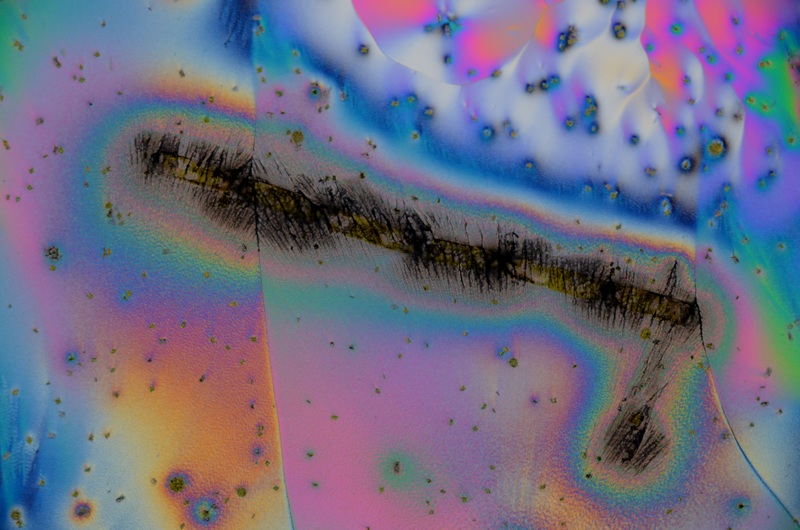 I read JG Ballard’s The Crystal World as a teenager,and it profoundly influenced my formative mind. 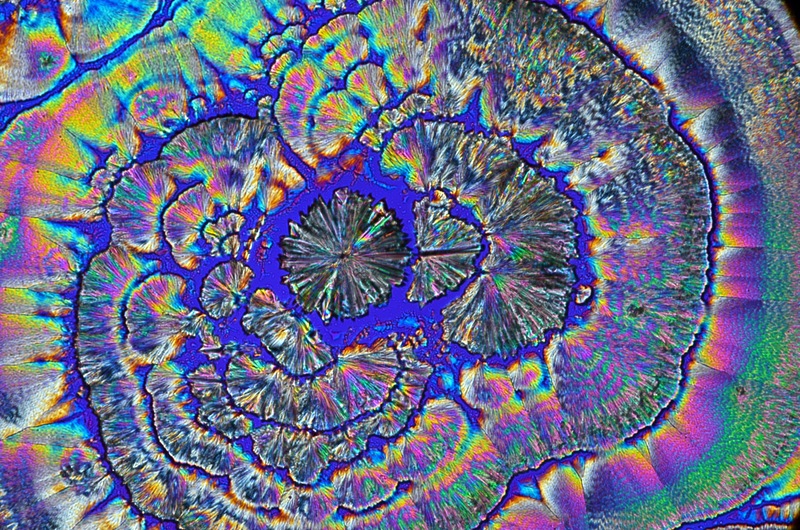 I’ve had an obsession with the process of crystallisation ever since, the spontaneous emergence of a brittle order from the mobile chaos of the solution. 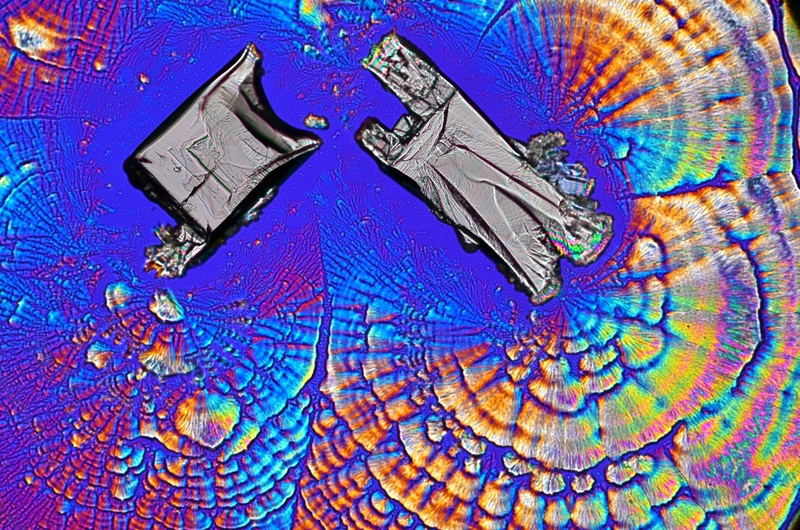 Many years later in my scientific career I have regularly encountered crystalization in another form, that is X-ray Crystallography, which allows the structure of proteins to be determined at the atomic level after they have been coerced into forming crystals in the laboratory.Here I’m exploring crystallisation at a microscopic scale. 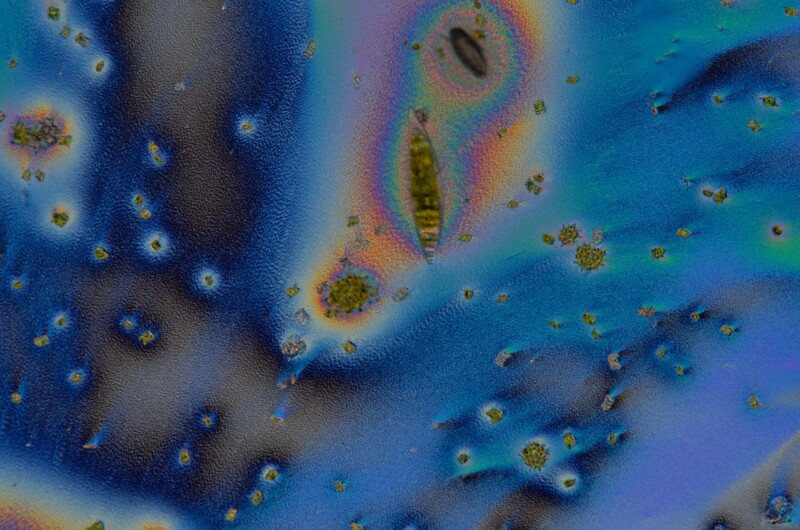 A culture of aquatic algae was mixed with ascorbic acid, and the mixture treated so as to allow crystals to form. 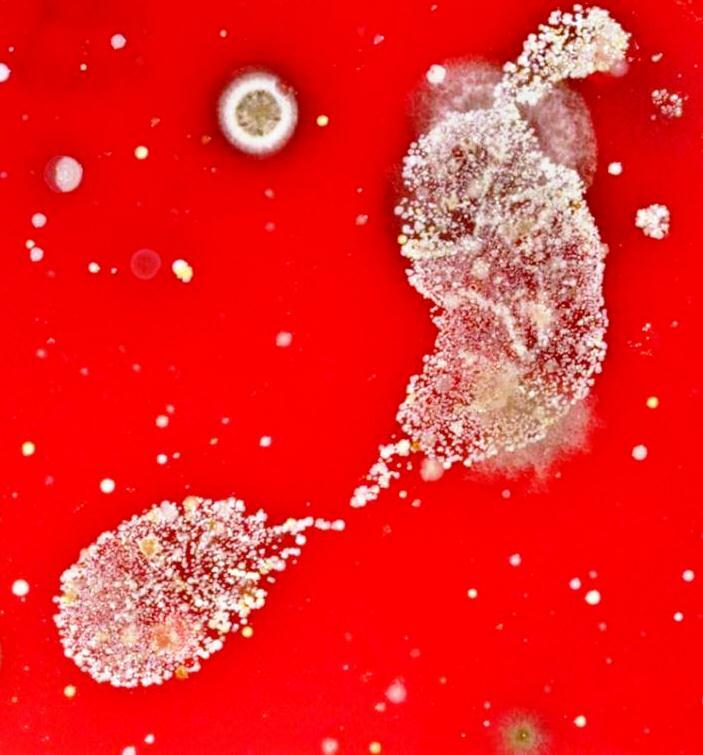 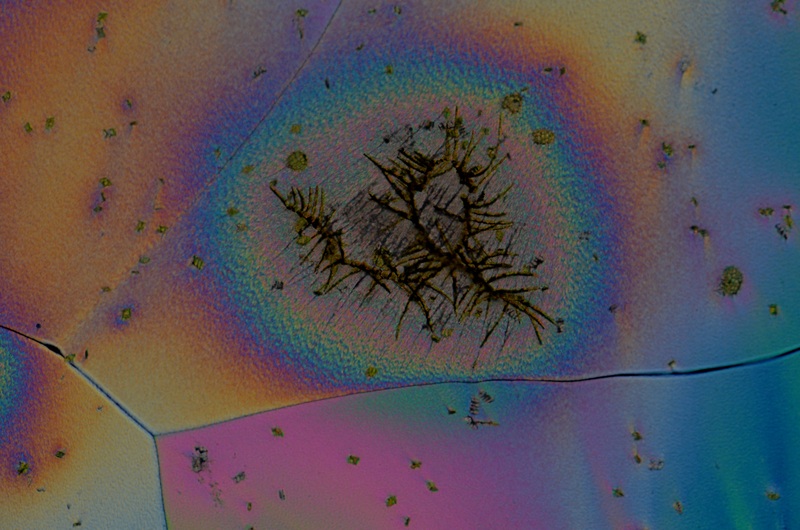 In this unique process, the microorganisms become fixed and their nature preserved. 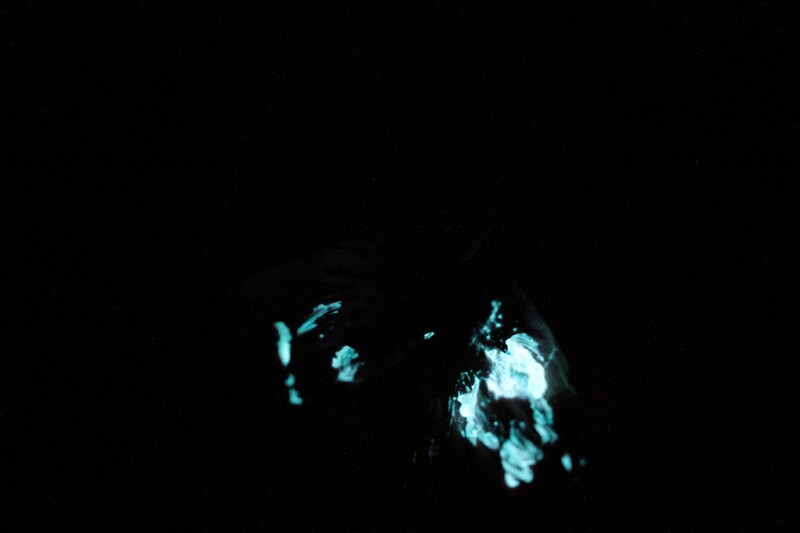 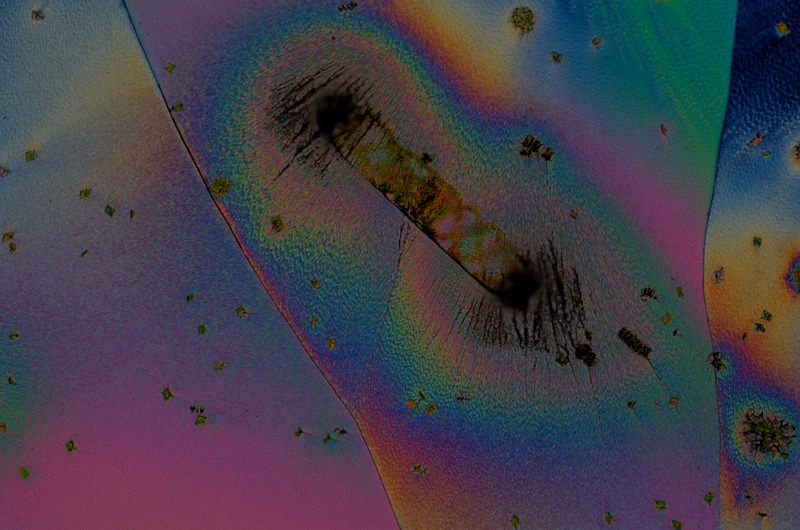 Each animalcule also acts as a seed for the crystalization process, and subsequently controls the crystallization process happening around it, each giving rise to its own unique signature in a micrometre thin continuum of inseperable chemistry and life. 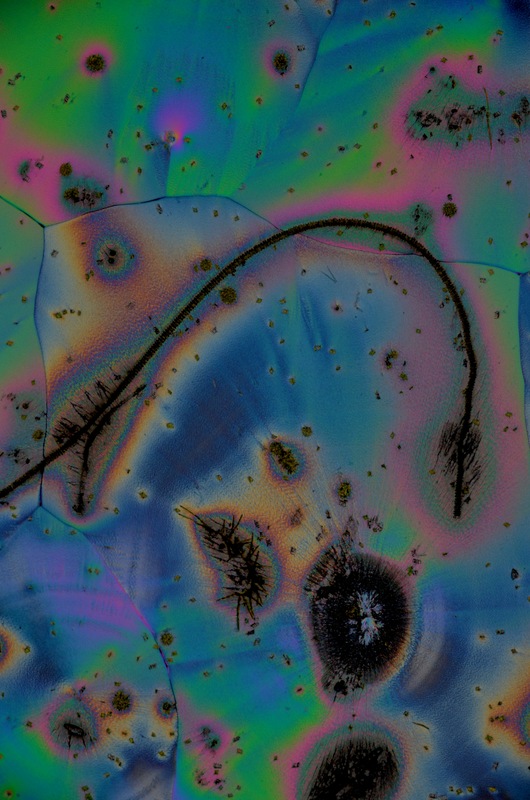 The images were taken using a Nikon Eclipse Differential Interference Contrast Microscope using 100-200x magnification. 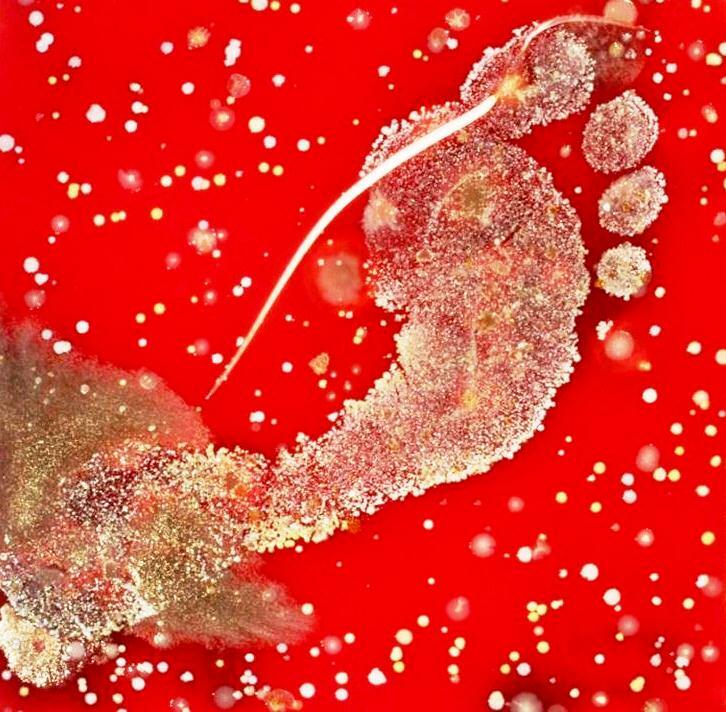 Microbiological hand and foot prints from celebrities. 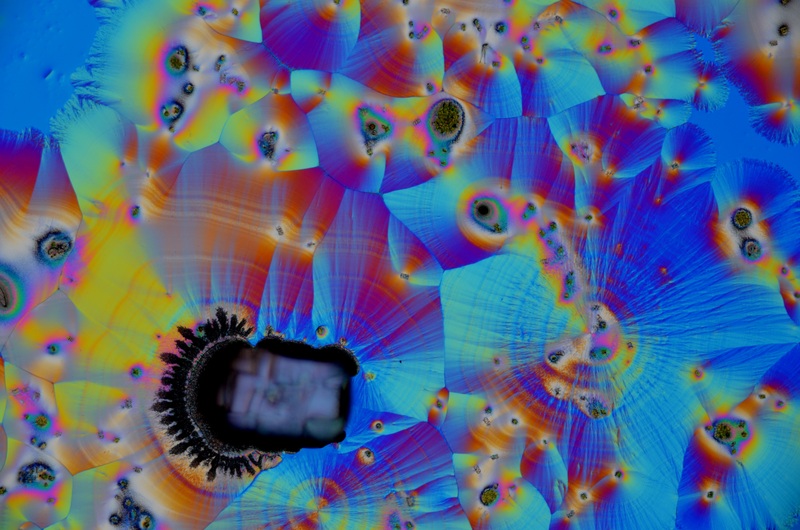 Whose microbiomes are they from though? 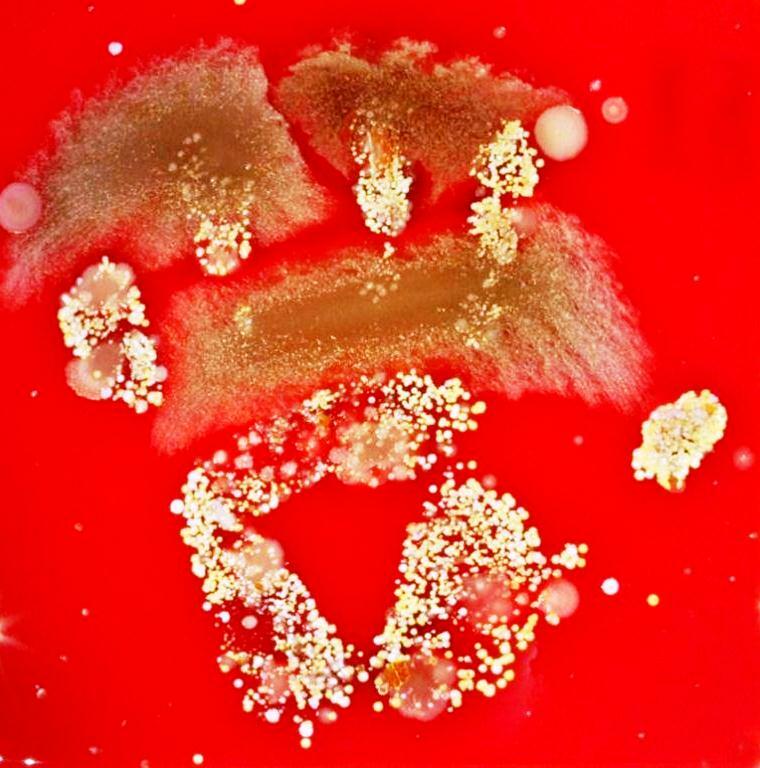 Beats, the old paper and pen version, I now have the microbiological signatures of two celebrities! 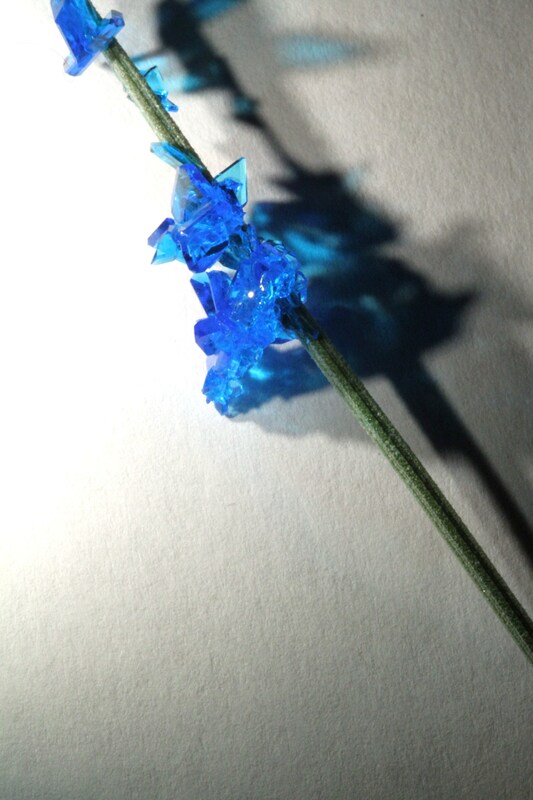 What are they worth? 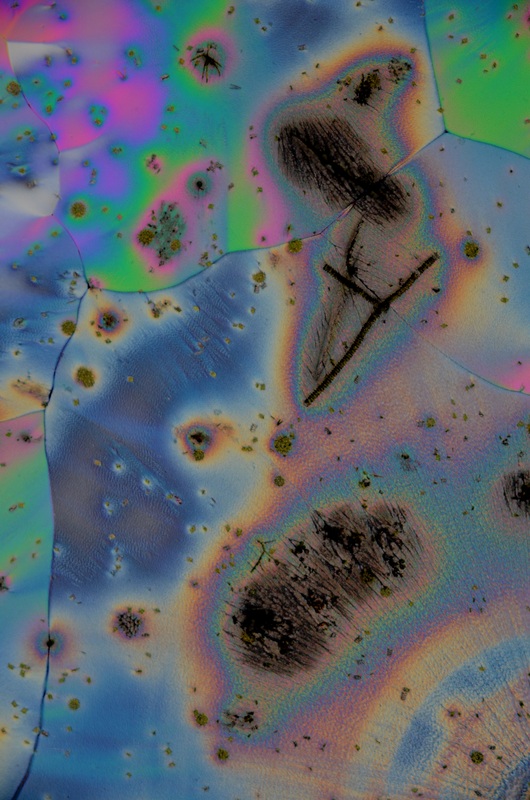 I read JG Ballard’s The Crystal World as a teenager,and it profoundly influenced my formative mind. 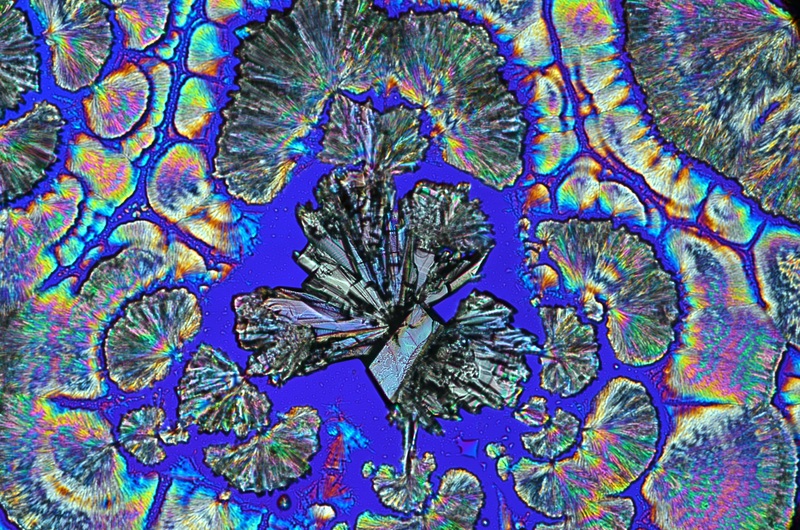 I’ve have had an obsession with the process of crystallisation ever since, the spontaneous emergence of a brittle order from the mobile chaos of the solution. 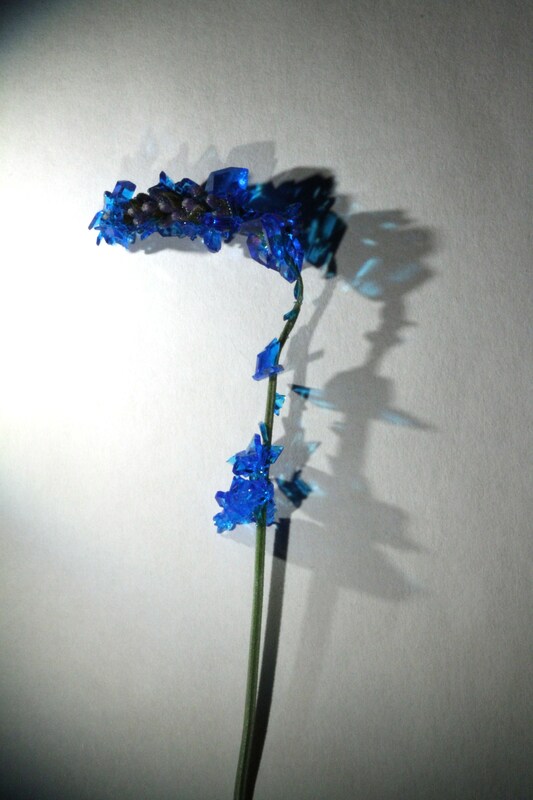 In a series series of new works I’m seeking to create Ballards Crystal starting first with plants. 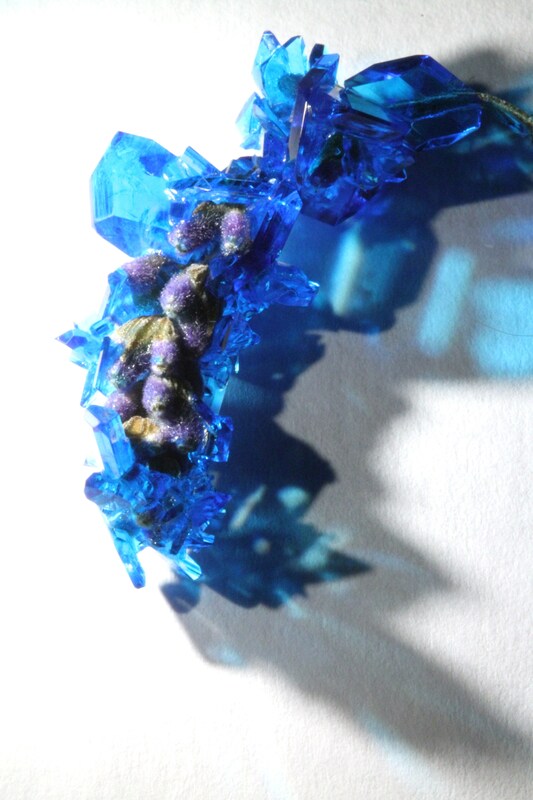 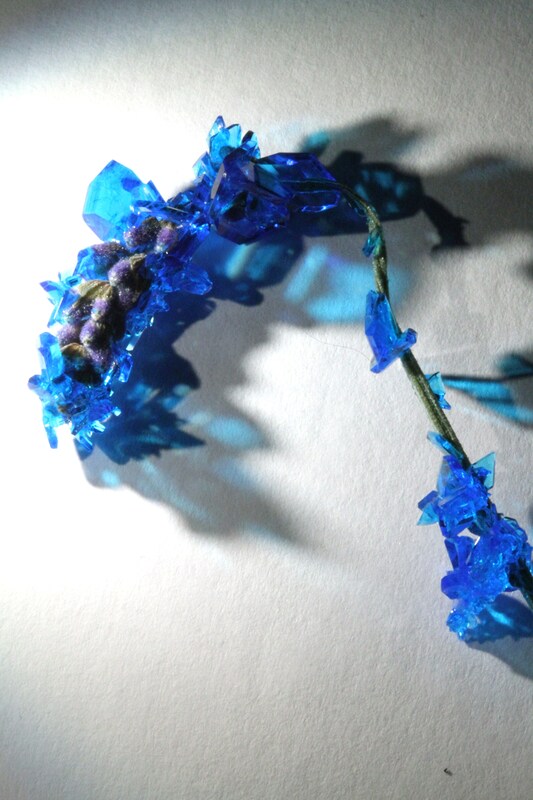 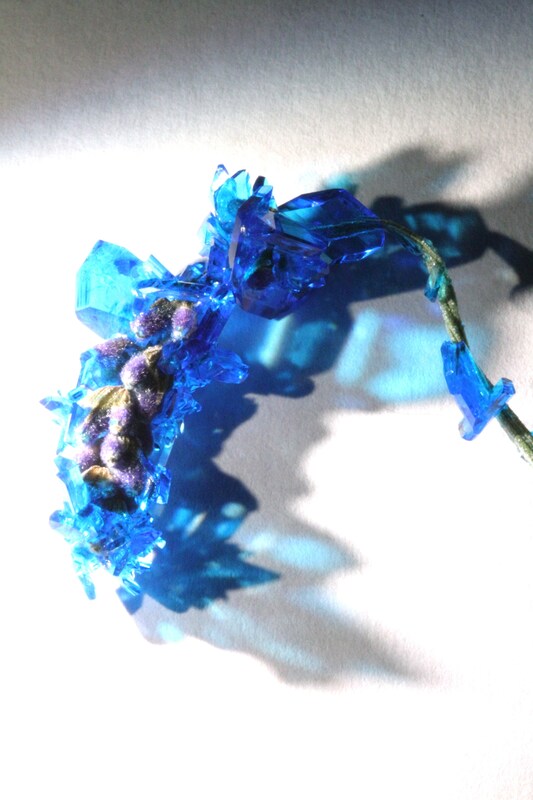 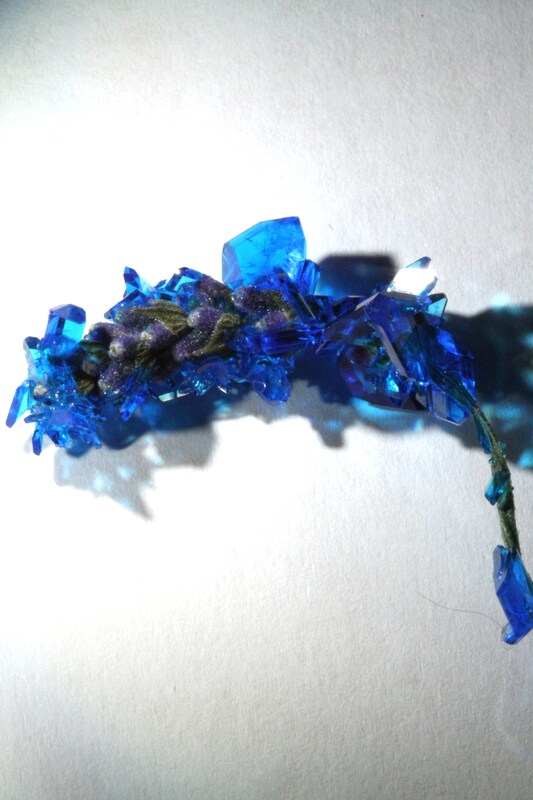 Here is Lavandula crystallum, commonly known as the Crystal Lavendar. 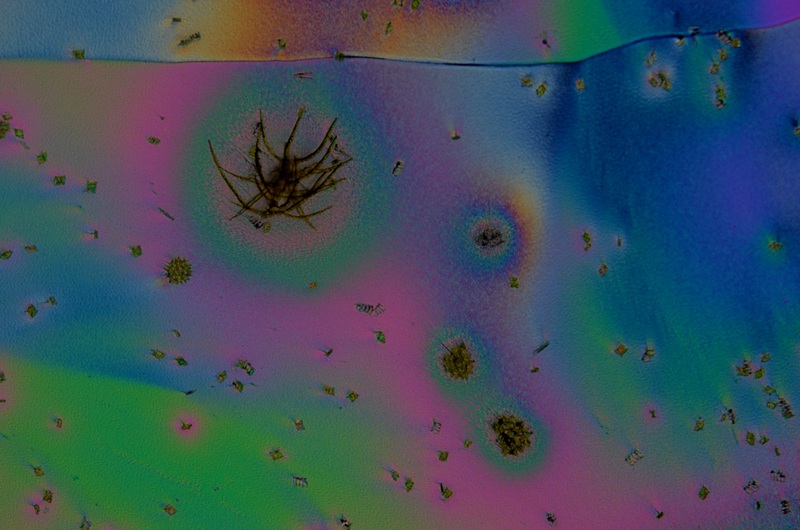 Ascorbate (or vitamin C) crystallization as seen under the Differential Interference Contrast microscope. 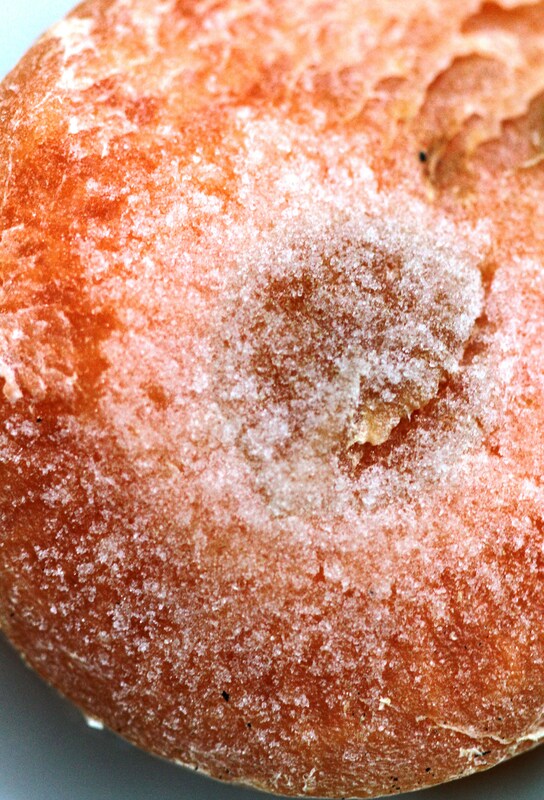 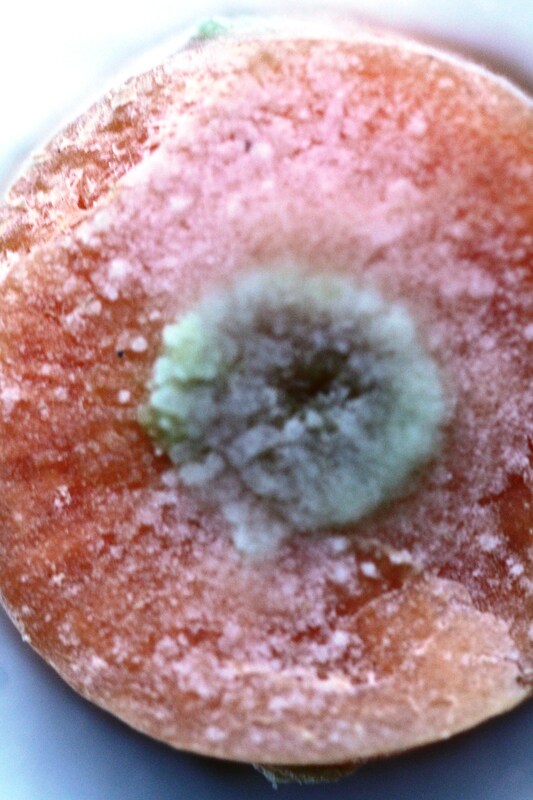 The bacterium Agrobacterium tumifaciens is a sophisticated plant pathogen causing gall-like tumours in its hosts. 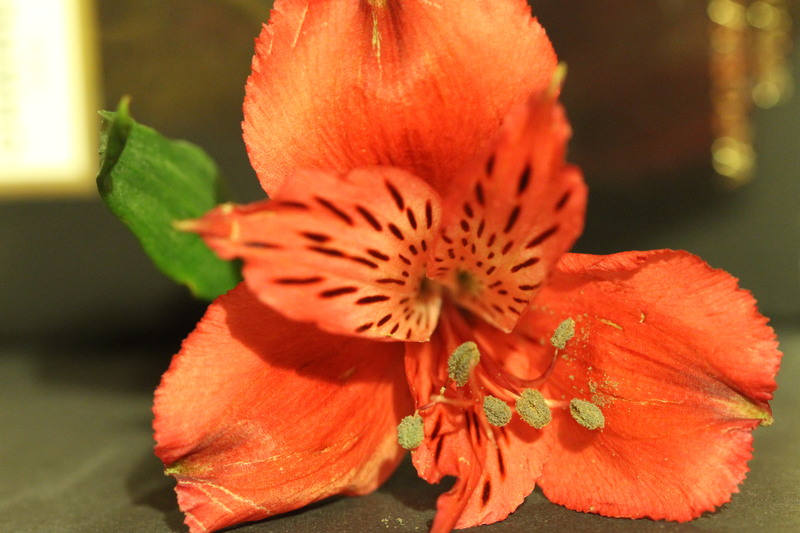 Upon infection, it introduces a small section of its own DNA (called T-DNA) into the host plant’s genome and this results in the formation of a plant tumour. 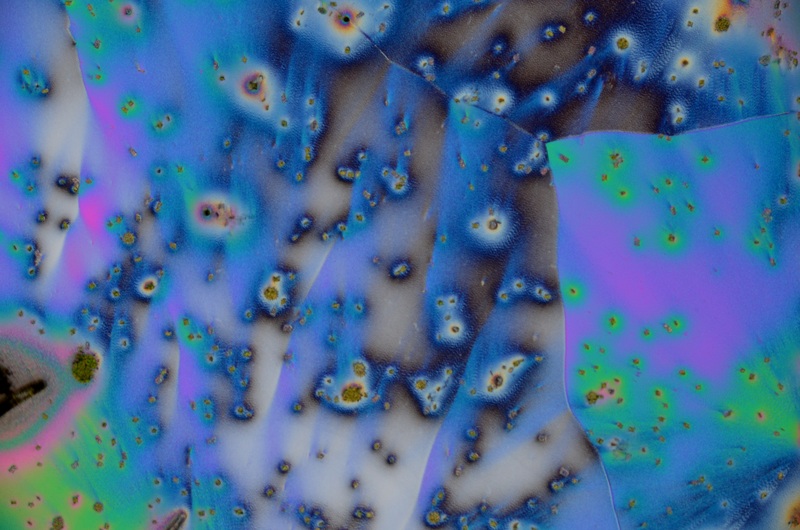 The T-DNA carries genes for the production of plant hormones (auxin and cytokinins) thus altering the hormonal balance in the plant cell so that its division is no longer controlled and tumours form. 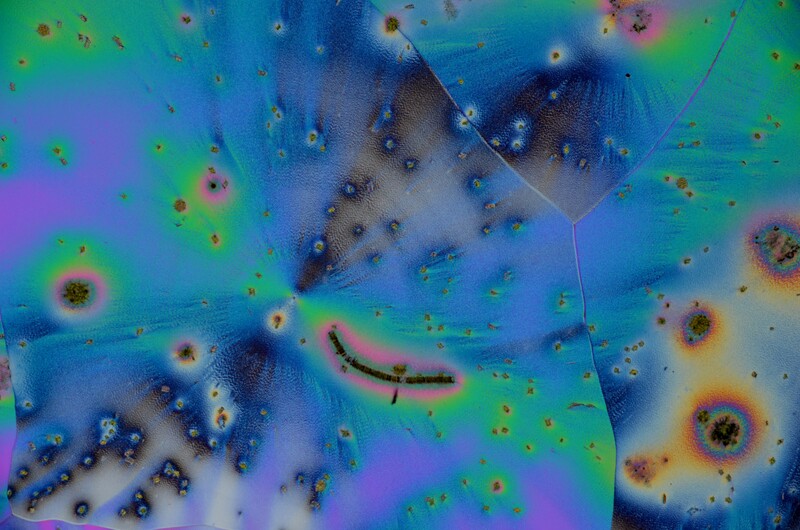 In addition, the inserted bacterial DNA also reprograms the plant to make chemicals called opines, which the bacteria then use as a source of nutrition. 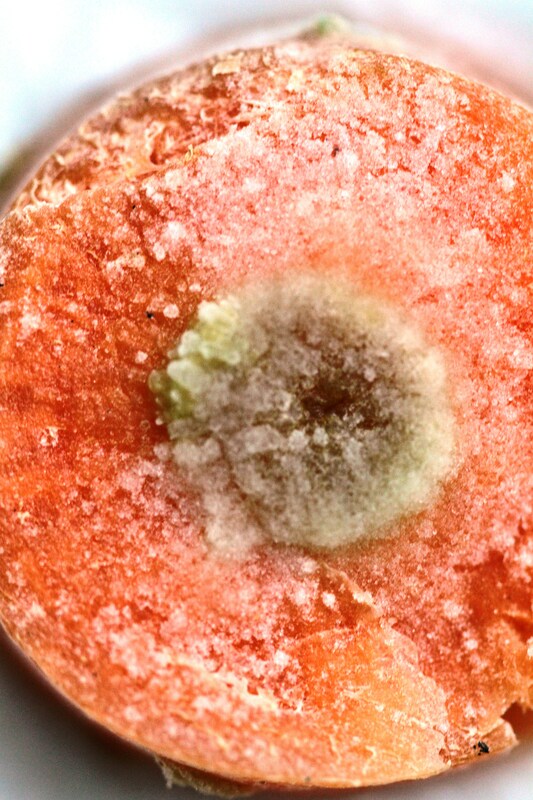 By infecting carrot slices with these tumourogenic bacteria, I have generated an immortal and undifferentiated type of carrot tissue that uniquely produces opines. 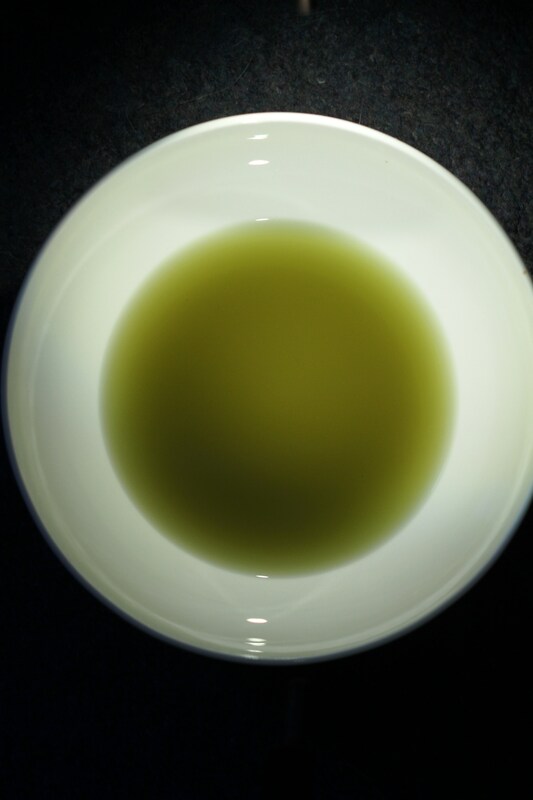 I have now made a soup with these cells, harvested from many infected carrot slices, and I’m pleased to report that it tastes divine, with the bacterial opines producing a stunning and unique flavour. 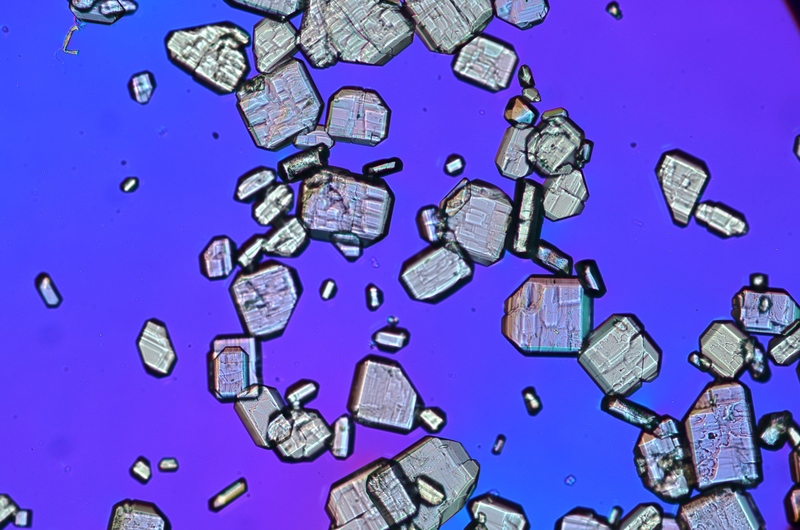 This is the starting point for some further explorations in which it might be possible to clone in various flavour pathways into the carrot cells, so that one could directly grow carrot soup in the lab (with onion or coriander flavour pathways engineered into it) without ever having to resort to soil grown a carrot, onion or herb. 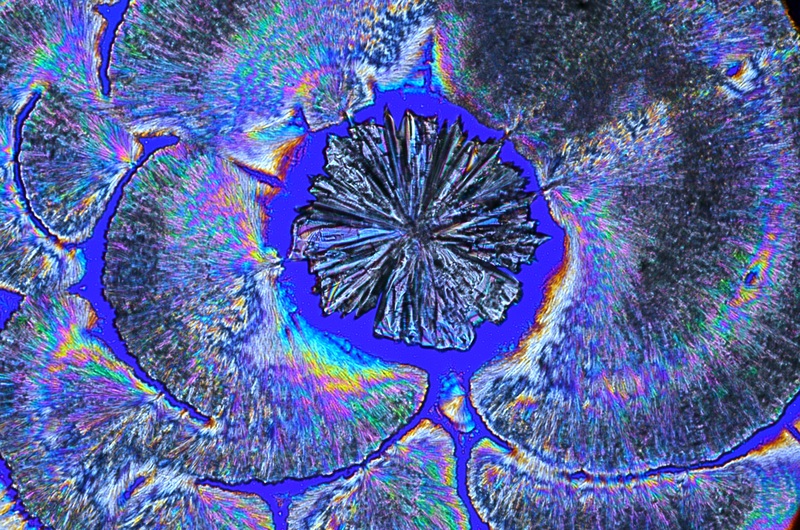 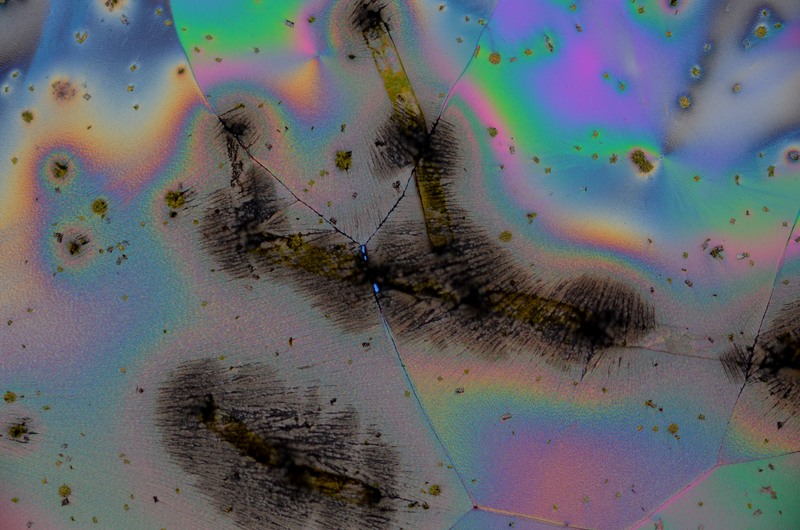 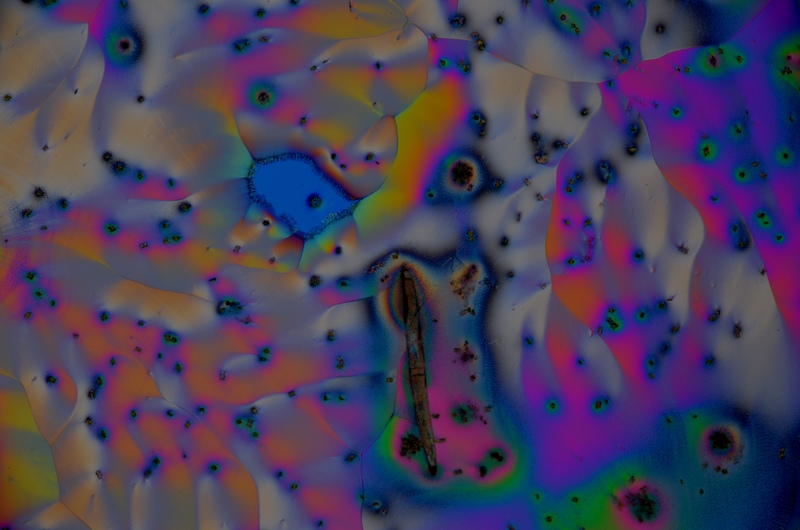 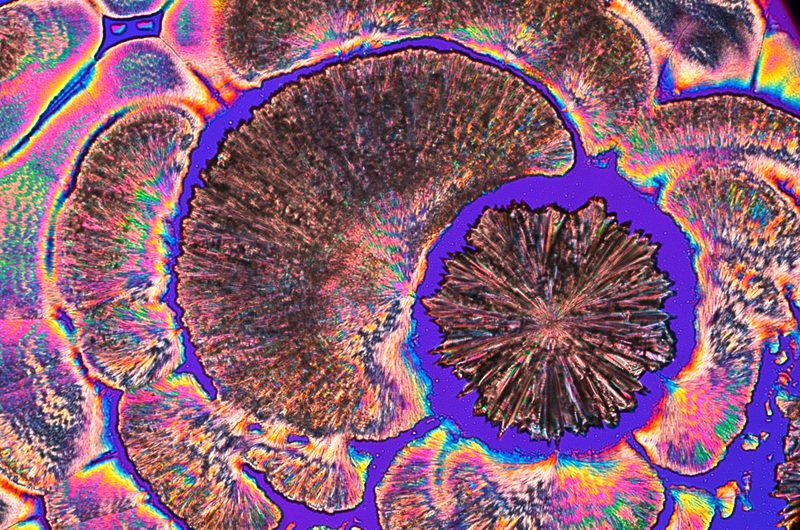 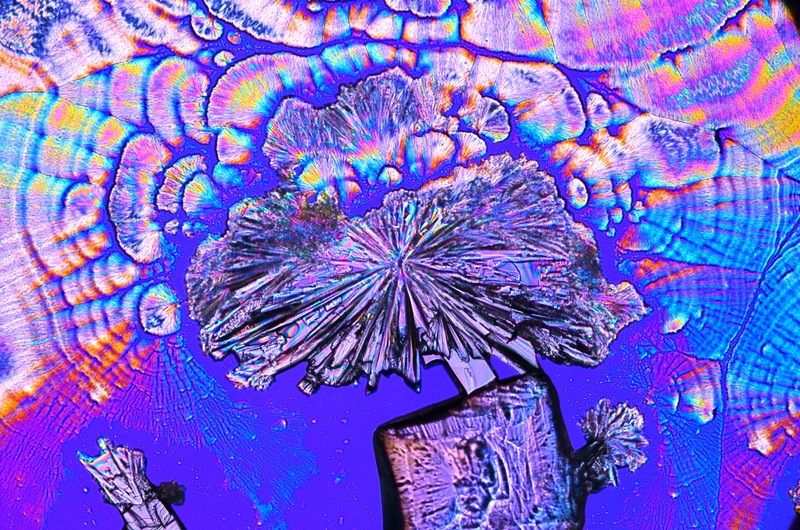 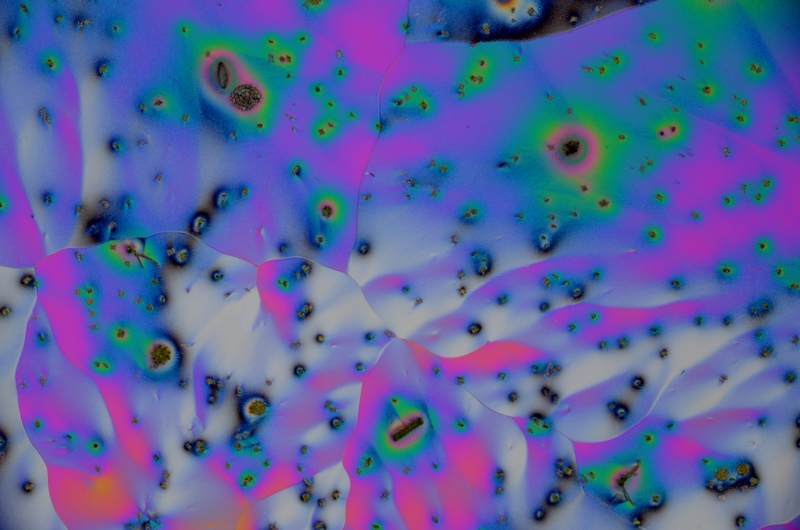 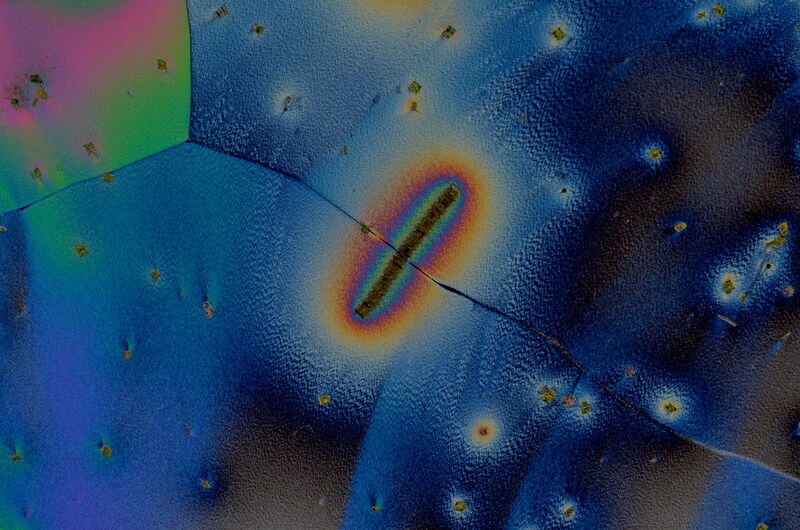 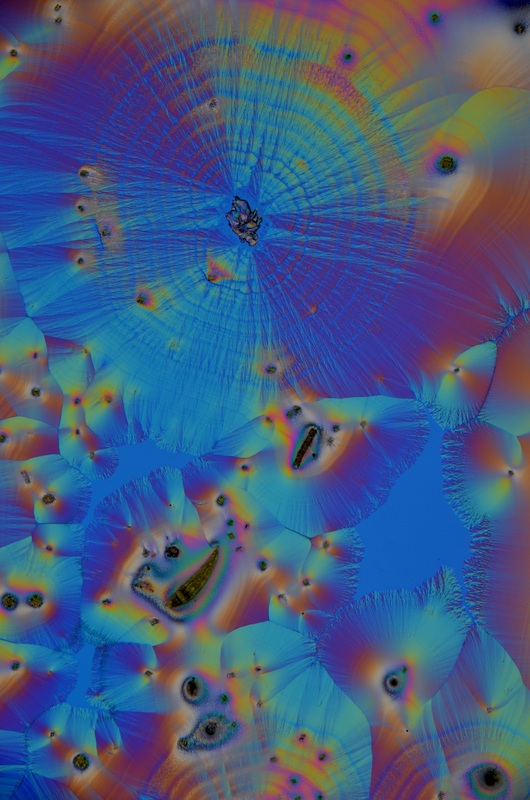 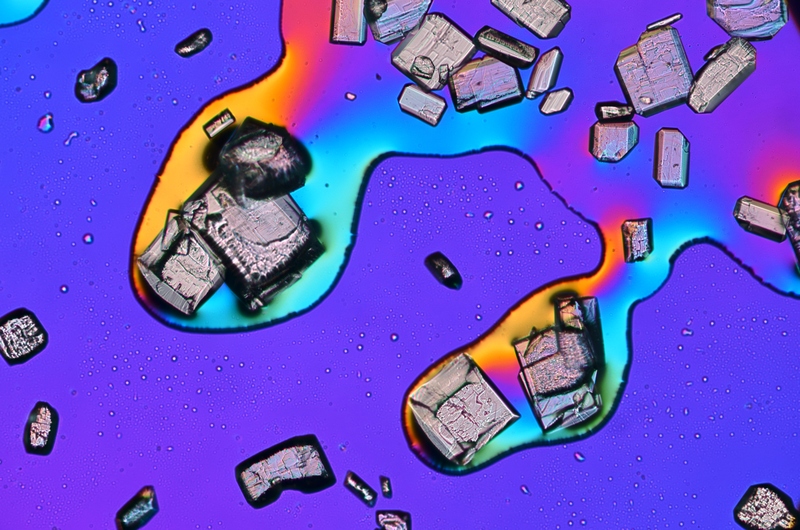 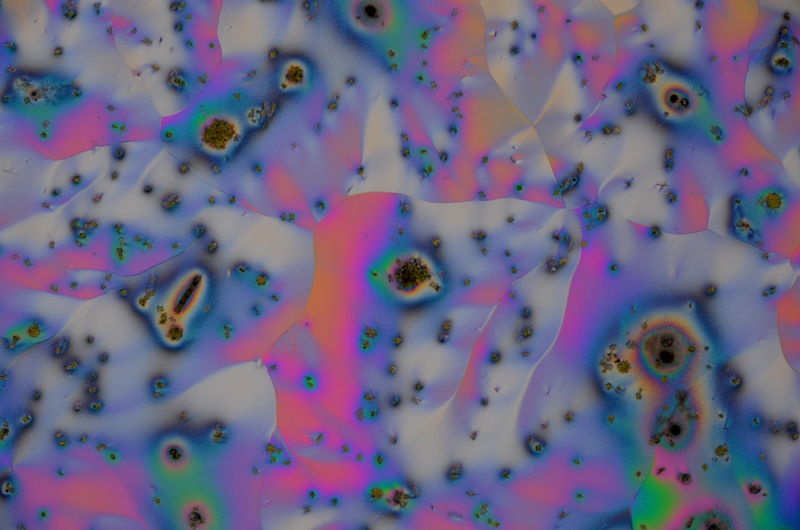 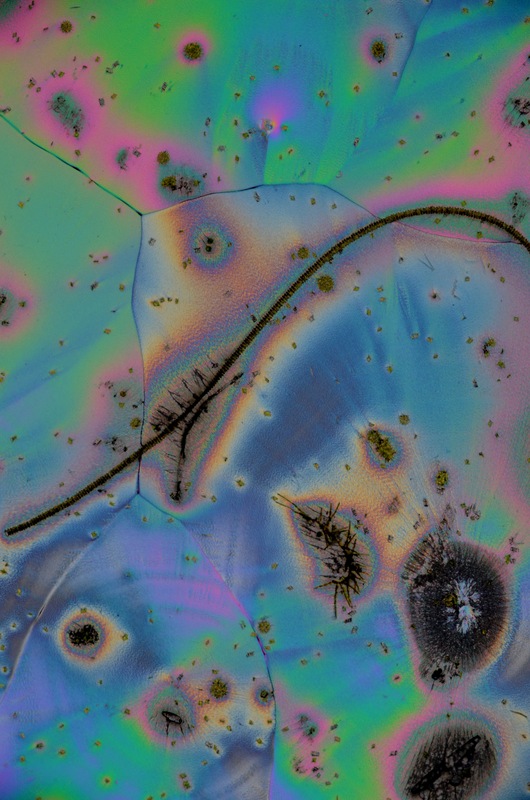 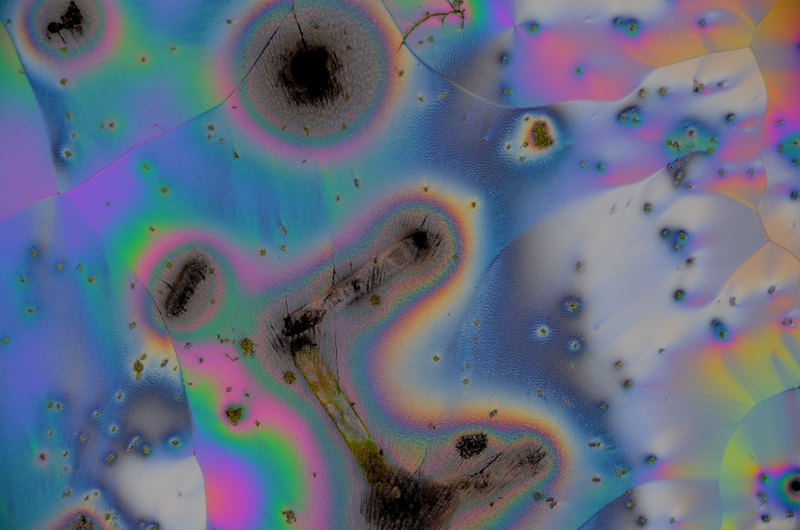 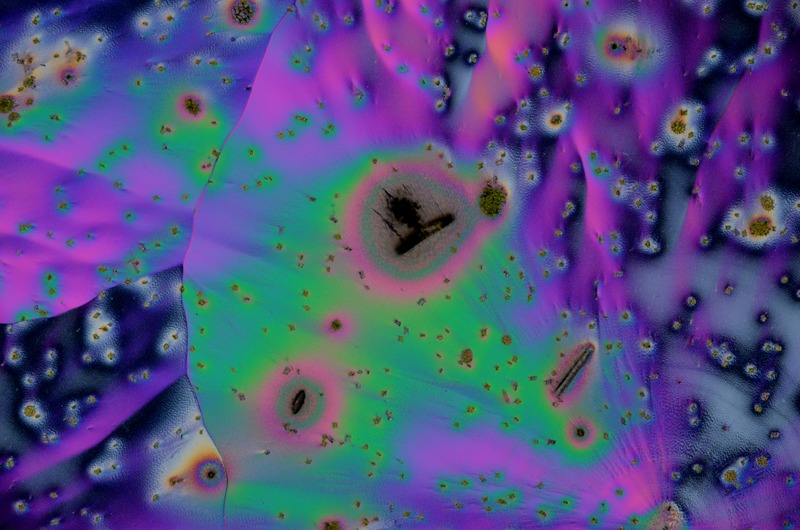 Crystals of ascorbate visualized using a Differential Interference Contrast microscope. 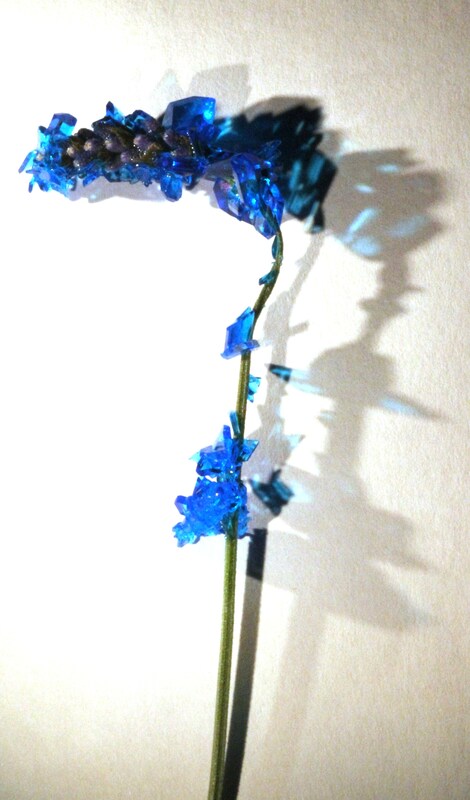 So simple to set up but I could never get bored of these. 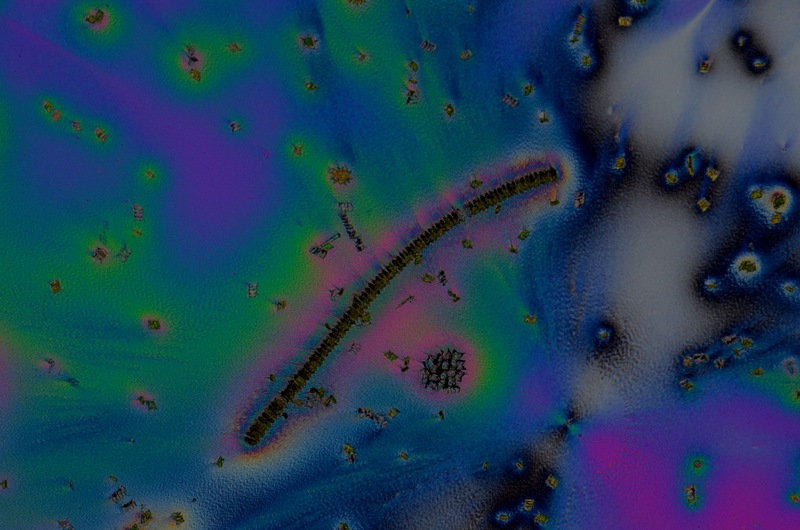 Maybe some timelapse tomorrow.